Posted on June 30, 2009	by Linda S.
Well, so much for the terrific homecoming…lol Oh well… I wanted a new one anyway.. I just hope that our pc guy can save all the favorites and photos. Hopefully this will only take a couple of days, but if not it will shouldn’t be more than a week or so. Anyway, I finished spinning the Cotswold last night. Today will be a dye day and then I will see what form it takes as I try to do some weaving with it…. 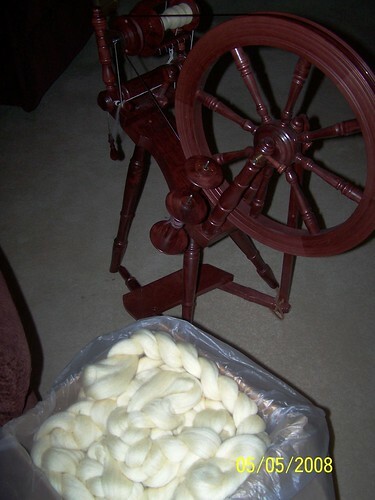 This entry was posted in Spindling, Spinning, Weaving. Bookmark the permalink.